Migraines—commonly referred to as migraine headaches—affect between 25 and 50 percent the population. Migraines are most common among pre-menopausal women, but they can also affect men, children, as well as post-menopausal women. Most people who experience migraines have them one to four times per month, but they can occur more frequently. Diagnosis is based primarily on clinical signs and symptoms, and if there is any uncertainty, you may need to have diagnostic tests to confirm your condition. There are a number of migraine triggers, and it can be particularly helpful to identify and avoid the situations that provoke your migraines. If you are prone to migraines, preventative treatment can help reduce the frequency and severity. There are many treatment options that can help to alleviate your symptoms if and when your migraines do occur. A headache is the most common migraine symptom, but you may experience other symptoms as well. Sometimes, you can have a migraine without any headaches at all. Often, a migraine is preceded by a prodrome, which can begin up to three days before a migraine reaches its peak. If your migraines are typically preceded by a prodromal phase, you will begin to recognize the signs of an impending episode. There are four sequential stages of a migraine—prodrome, aura, headache, and postdrome—and you may experience between one and four of them with each of your migraine attacks. You may feel your migraine headaches all over your head, on one side, at the front, or at the back of your head. The headaches that are part of a migraine attack are often described as severe, throbbing, pounding, aching, or persistent. They typically worsen when you move your head, particularly if you lower your head or turn it upside down (as with some exercises). A migraine aura typically begins a few hours before a migraine reaches its peak. Generally, a migraine aura is characterized by symptoms such as visual changes, weakness, or numbness. It can be difficult to distinguish an aura from a stroke, so you should get medical attention if you develop these symptoms without having a diagnosis of migraine with aura. There are many migraine triggers, but it is not clear why some people are prone to migraines and exactly what causes them to occur. There are several risk factors that make you more prone to developing migraines. Women are more likely to experience migraines than men, and you are more likely to have migraines if you have a family history of the condition. Depression increases the risk of having migraines, although most people who have migraines do not also have depression. The exact cause of migraines is unclear. They seem to be related to several physiologic alterations in the brain, which include vasodilation (widening) of the blood vessels in the brain, alterations of neurotransmitters in the brain, or changes in the electrical rhythm of brain activity. All of these changes have been documented with migraines, but it is not clear which occurs first and why or how a migraine begins. 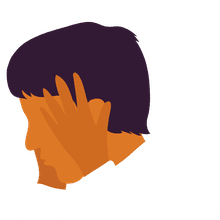 The headaches and other symptoms that accompany a migraine can be concerning because they overlap with many of the common signs of serious neurological diseases. If you have new headaches, severe headaches, or neurological symptoms, your doctor will evaluate you to determine whether you have migraines or another condition. Migraines can produce neurological symptoms, such as tingling sensations and visual changes, so it is important to be sure that you aren’t experiencing a neurological condition such as a transient ischemic attack (TIA) or multiple sclerosis (MS). Your medical history is a particularly important part of your diagnosis. If your symptoms correspond with your menstrual cycle, if recognizable triggers provoke them, or if you don’t have any symptoms in between the events, this is a strong sign that migraines could be the cause. Your doctor will also do a thorough physical examination, including a neurological examination, to see if you have any physical deficits. If there is any uncertainty about your condition, or if you have risk factors of stroke or other neurological illness, your doctor may run some tests to rule out a medical illness as the cause of your symptoms. There are a variety of diagnostic tests that your doctor may perform to discern a diagnosis of migraines. Blood tests: A complete blood count (CBC), electrolyte levels, and thyroid tests are among the blood tests that can detect medical the conditions that most commonly manifest as severe headaches or other typical migraine symptoms. For example, thyroid disease and anemia (decreased red blood cell function) can cause fatigue and headaches. Brain imaging: Some of the neurological symptoms that can occur with migraines may also be manifestations of stroke, TIA, MS, a brain tumor, a brain aneurysm, upper spine problems, or any other neurological condition. Many neurological conditions can be detected by brain computerized tomography (CT) or magnetic resonance imaging (MRI). Lumbar puncture: If your doctor is concerned that you could have brain inflammation, MS, meningitis (an infection of the protective layer around the brain), or encephalitis (a brain infection), you may need to have a lumbar puncture, also called a spinal tap. This is a minimally invasive test in which your doctor places a small needle in your back (below the level of your spine) to obtain a sample of spinal fluid, which is sent for laboratory analysis. This test is mildly uncomfortable, but it is safe, and the discomfort resolves after a few minutes. Electrocardiograph (EKG) or Echocardiogram: Heart problems can cause dizziness and low energy, and may also cause headaches. An abnormal heart rhythm can be detected with an EKG. A patent foramen ovale (PFO)—which is a defective opening in the heart tissue—has been associated with migraines, although the link is controversial. This condition can be diagnosed with an echocardiogram and can be surgically repaired. However, PFO closure has been found in clinical trials not to be effective for the treatment of migraines. There are a number of effective migraine treatments that are used for acute migraine attacks, including over-the-counter (OTC) and prescription medications. In severe cases, medication injections have also been effective. Some people experience migraine symptom improvement with complementary and alternative treatments (CAM), such as eating ginger or inhaling lavender oil. It is usually a good idea to try CAM treatments or OTC medications first. If these don't work, you can try advancing to the stronger prescription treatments only if the complementary and alternative medicine (CAM) or OTC options don’t effectively reduce your migraine symptoms, or if you can’t tolerate the side effects. The butterbur plant seems to be effective in some clinical trial results. Further CAM treatment options that may be worth investigating include feverfew (a plant), magnesium, coenzyme 10Q, and vitamin B2 (riboflavin). Be sure to discuss these CAM choices with your doctor to see if one (or a combination) may work for you. OTC treatments include non-steroidal anti-inflammatories (NSAIDs), aspirin, naproxen, and ibuprofen, as well as acetaminophen—which is not an NSAID. Triptans are prescription medications that are specifically indicated for migraines. They include Imitrex (sumatriptan), Relpax (eletriptan), Zomig (zolmitriptan), Amerge (naratriptan), Maxalt (rizatriptan), Axert (almotriptan), and Frova (frovatriptan)—all of which come in an oral form. Imitrex (sumatriptan) comes in formulations that can be taken orally, by injection, or by inhalation. Other prescription medications used for treatment of acute migraine attacks include Fiorinal, Fioricet, Migranal (dihydroergotamine), Cafergot (ergotamine), opioids, steroids, Periactin (cyproheptadine), and Reglan (metoclopramide). If you need to take a prescription, you and your doctor will work together to find the right one for your migraine attacks. Some of the prescription medications cause side effects, so your health and medical risk factors often determine whether you can take them or not. For example, the triptans cause blood vessels to constrict (narrow), and they aren’t recommended if you have cardiovascular disease. The opioids can be addictive and may cause severe constipation, so they aren’t recommended if you have a history of drug abuse or if you have gastrointestinal problems. Prevention is really the cornerstone of managing migraines, and you are in primary control of sticking with your own migraine prevention strategy. You are the best judge of how well something works and whether you experience any side effects. You and your doctor will have to decide which preventative option is best for you based on your own health risks, side effects, and how well the preventative therapy works for you. There are several preventative medications that can help reduce the frequency and severity of migraine attacks. Lifestyle strategies are even more important than medication when it comes to migraine prevention. It is especially important that you identify and avoid your migraine triggers. Pay special attention to situations and events that occur in your life before you have a migraine. Common triggers include sleep deprivation, stress, and eating foods that contain additives such as nitrates. If you have more than five days of migraines per month, or if your migraine episodes don’t improve with abortive therapies (medications used to reduce the severity of a migraine attack), you may need to use preventative treatment. Calcitonin gene-related peptide (CGRP) receptors, which include Aimovig (erenumab), Emgality (galcanezumab), and Ajovy (fremanezumab), have all been approved for migraine prevention. These medications are taken as a monthly injection. Ajovy can also be taken as an every third-month injection. The other medications commonly used for migraine prophylaxis are not formally indicated for migraines prevention, but they are used off-label for this purpose. These medications are taken every single day and include antidepressants, anticonvulsants (anti seizure medications), steroids, oral contraceptives, antihypertensives (blood pressure lowering medications), and prescription strength NSAIDS. All prophylactic medications can cause side effects, and may not work for everyone. Preventative strategies can also include procedures such as botulinum toxin injections, nerve injections, and even nerve or muscle surgery. If you experience side effects from migraine medications, or if they don't work, you can discuss these types of procedures with your doctor to see if any of them would be a safe and beneficial option for you. You may need to adjust your lifestyle and daily activities when you have a migraine. Depending on the frequency and severity of your episodes, you might need to take on less demanding tasks or get extra rest while you recover. Most people with migraines learn to effectively plan work and other tasks well in advance to avoid falling behind if a migraine hits. It is also important for you to decide when you should take your abortive therapy—some people notice that it works best just when an aura is starting, while some feel that the effects wear off too soon if they take strong prescription medications before the migraine symptoms begin. Optimally timing your therapy is an important part of coping. If you feel depressed before or during your migraines, it is helpful for you to be aware of this tendency and to remember that the depression will wear off after your migraine resolves. However, if you experience prolonged periods of depression, you should talk to your doctor. Medical treatment or counseling for your mood may be necessary. Another important aspect of coping with migraines includes communication. You might find that telling close friends and family when you have a migraine can help you avoid appearing rude or antisocial if you just want to take it easy. Sharing and communicating with coworkers and colleagues is very dependent on your situation. While many colleagues may be understanding or empathetic, some may try to make life difficult for you if you admit to certain weaknesses on the job. You need to carefully weigh the advantages and disadvantages of sharing details about your migraines in your own work setting, and make the best decision for you. Living with migraines is not easy. They can interfere with your ability to sleep, work, concentrate, and get along with others. The good news is that most people who are migraine-prone experience substantial improvement with preventative strategies and treatment for acute migraine attacks. Be sure to speak with your doctor to explore all available options to manage your migraines in a way that works for you. Barbanti P, Grazzi L, Egeo G. Pharmacotherapy for acute migraines in children and adolescents. Expert Opin Pharmacother. 2018 Dec 7:1-9. DOI: 10.1080/14656566.2018.1552941. Blumenfeld AE, Victorio MC, Berenson FR. Complicated Migraines. Semin Pediatr Neurol. 2016 Feb;23(1):18-22. DOI: 10.1016/j.spen.2016.01.007. Epub 2016 Jan 22.